Susan Fleming hoists a sack of gifts, ready to ride. Happy Holidays from Rides a Bike! 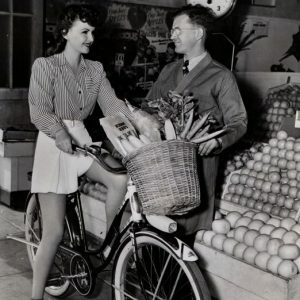 Frances Gifford rides a bike – and craves vegetables.HEALTHY DIET belongs to Frances Gifford, feminine star of Paramount’s “American Empire,” who craves vegetables on these hot days. 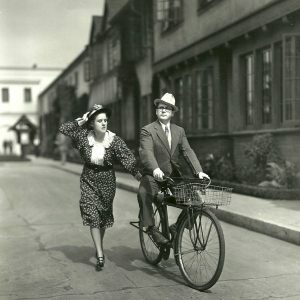 Fibber McGee rides a bike. Molly tries to keep up.